Finding BonggaMom: 10 Reasons to Fly out of San Jose Mineta Airport. Remember the days when you could show up at the airport 10 minutes before your flight left and still make it on board? 9/11 put an end to those days forever, but lately it seems like we're being asked to get to the airport earlier and earlier. For weeks we've been hearing horror stories about long TSA lines at airports causing travelers to miss their flights. Airports have been updating their websites,masking passengers to allow extra time to check in. So when I began planning a business trip to LA, I decided to err on the side of caution. I planned to arrive at the airport 2.5 hours before my flight departure time -- for a 1-hour flight! I shouldn't have worried -- I was flying out of San Jose. The security line took me only 15 minutes to get through! I was much too early, but at least I spent most of my time relaxing in a comfy chair instead of stressing out in line. 1) It's a smaller airport, so it takes less time to get to your gate. 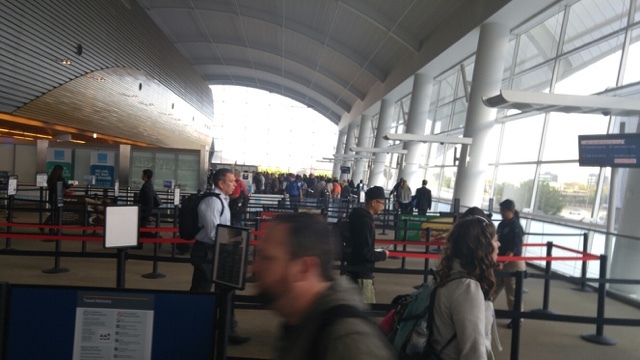 2) Less people fly through SJC so it means thinner crowds and shorter lines. 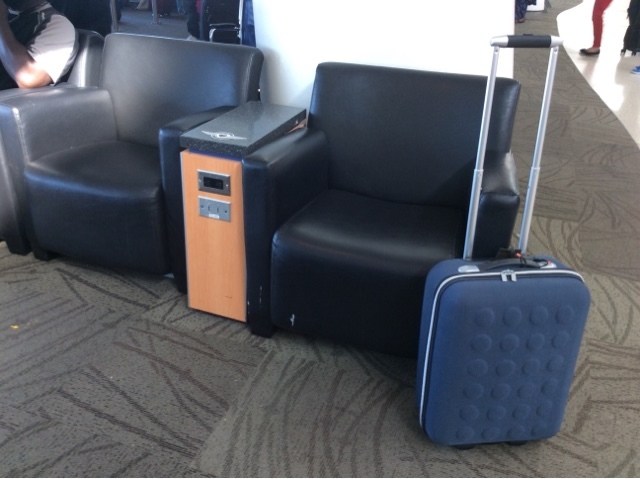 3) All the seats in their waiting lounges have outlets,Mao you don't have to crouch on the floor or fight to gain access to the only outlet in some obscure corner. 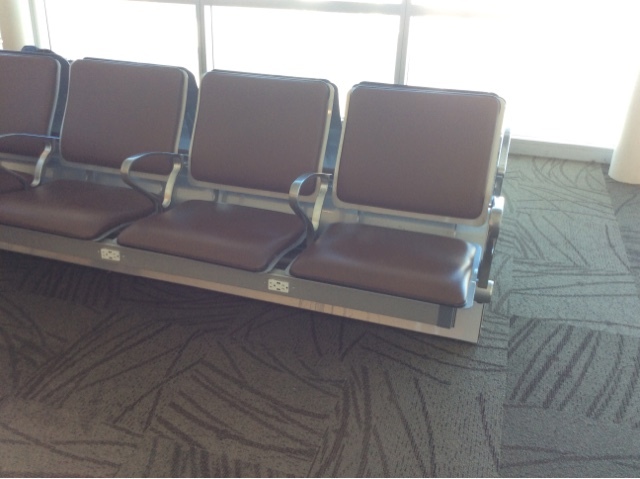 4) They have comfy seats with wide armrests for your coffee, along with power outlets and USB charging ports. 5) They even have a business lounge that any traveler can use. 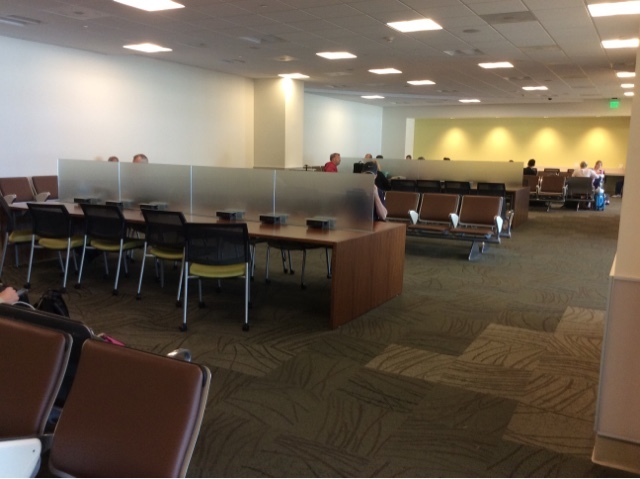 In addition to the usual chairs with outlets, the lounge has tables and cubicles so people don't have to balance their laptops on their laps. 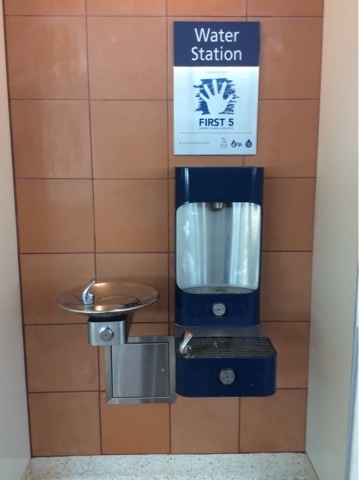 6) They have a water bottle refill station. Way to go green, SJC! 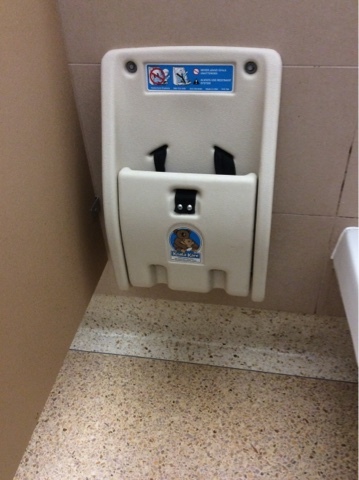 7) Their restroom stalls have enough space for parents and kids to be in the same stall. 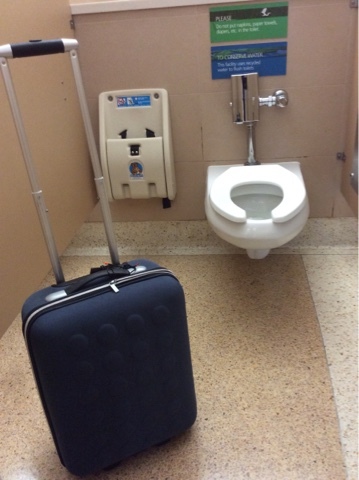 8) There's even enough space in the stalls for luggage! 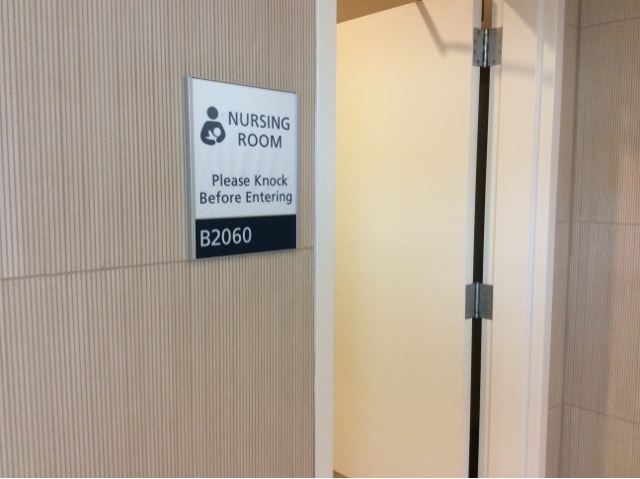 9) They have nursing rooms so moms who don't feel comfortable nursing in public don't have to feed their baby in a toilet stall. 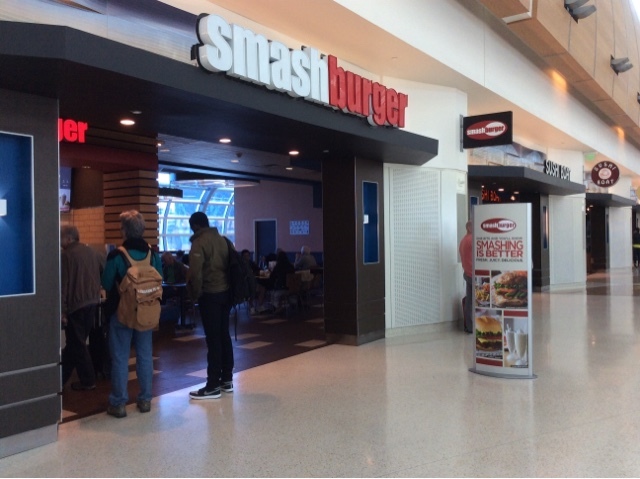 10) Last but definitely not least, they have a Smashburger!! 'Nuff said! The only disadvantage I can see is that fewer flights go out of SJC, especially international flights -- but British Airways has just begun a new service from SJC to Heathrow, so that's half of our international flights taken care of! If only they had flights to the Philippines as well... At least the smaller number of flights means that I can still enjoy SJC as the undiscovered gem that it is.